We discuss why whistleblower tips are on the rise and how their role has powerful repercussions. 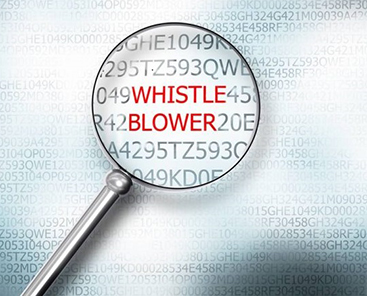 Given the recent and significant uptick in whistleblowing, corporate leaders are on notice. While there are many federal and state whistleblower regimes, looking at the U.S. Securities and Exchange Commission's whistleblower program in particular, we see that tips are on the rise and originate from every state in the union and over 100 countries. Whistleblowers are here to stay, they mean business and their role in the reporting process has powerful repercussions. Consider the sobering findings from a new study to be published in an upcoming issue of the Journal of Accounting Research. Of the federal cases surveyed, law enforcement was 8.5 percent more likely to levy monetary sanctions on a company where a whistleblower was involved. Remarkably, the predicted amount of such sanctions increases from $8.7 million without a whistleblower to $30.7 million with one. Equally shocking, when a prison sentence results from an investigation, a culpable individual will on average receive a sentence of 41.9 months if a whistleblower is involved, compared with 22.5 months otherwise. Given this "new normal," organizations are left with two choices — recruit whistleblowers or resist them. Resistance generally doesn’t play out well. Oftentimes in our whistleblower cases, we see a disturbing picture emerge, a kind of tale of two cities. Most of the defendant companies had policies that encourage reporting, promise anonymity and assure that whistleblowers will be protected. But lurking beneath the break room policy posters and collegial lip service is a far more predatory culture. These organizations ignore repeated reports of wrongdoing, marginalize and out the truth teller and architect — or at the very least — allow retaliation. Such conduct has a price. For one thing, the SEC has leveraged its new authority under the Dodd-Frank Act to penalize this conduct — the first instance was in 2015 in an action against Paradigm Capital Management, which retaliated against our client who had reported misconduct to the SEC. And, showing how seriously the SEC takes this authority, last year, the commission ordered a company to pay a $500,000 penalty for retaliating against a whistleblower — even though the whistleblower’s allegations ultimately proved false. So while these resisters remain hopeful that institutionalized bullying will silence and marginalize the whistleblower, they face a punishing reality when we walk our clients into the safe house that is federal law enforcement. Creating a sense of community in the workplace where employees have a sense of connection and concern for their colleagues, customers and the organization as a whole. Crafting a compelling and credible ethical code that is well-communicated and upheld at every level. Empowering employees who are encouraged to report misconduct, appreciated when they do, and kept apprised of their report to the extent permissible. Being accountable. To meaningfully encourage the reporting of misconduct, when ethical violations are discovered, violators must be held accountable regardless of position or seniority. There can be no "slap on the wrist" for a senior manager, while a junior employee faces more severe consequences. Acting with absolute transparency. Abolish the "corporate vault" where dirty little secrets are stored. When violations are discovered, self-reporting to the authorities and, to the extent possible, sharing with the organization as a whole shows ethical leadership by example and design. Investing in ethics and compliance training that is scalable, consistent and applicable for every level of employee. By way of example, management must learn how to identify retaliation and how to respond to claims or witnessing of retaliatory conduct. Retaliation can never be addressed in a murky back channel; to the contrary, its discovery must trigger a formal climb-up-the-food-chain protocol. Embracing, not fearing the truth. This might include surveying company culture to assess weak spots, including awareness of wrongdoing and employees’ willingness to report. Acknowledge bad actors or failed policies. Report on the information shared on a tip line — and let employees know how leadership acted on reports of misconduct. Identifying and correcting weaknesses in compliance or conduct is how companies get stronger. Emboldening employees to have a stake in their corporate home and valuing their “owner mentality” is how workforces get collaborative and busy. Busy is key — because an engaged, invested workforce is productive and more ethical. At the end of the day, regardless of an organization’s ethical barometer, mistakes happen. Employees go rogue and violations occur even in the strongest of corporate cultures. That’s OK. Law enforcement will recognize anomalies and companies will be rewarded for how they handled the truth. But handle it, don’t shrink from it. If whistleblowers are the mirror of corporate ethos, ignoring, marginalizing or harming them won’t make the flaws disappear. The truth is the truth is the truth and the only response to it is respect and surrender. In the age of the whistleblower, resistance is futile, costly and undermines an organization’s culture of integrity.